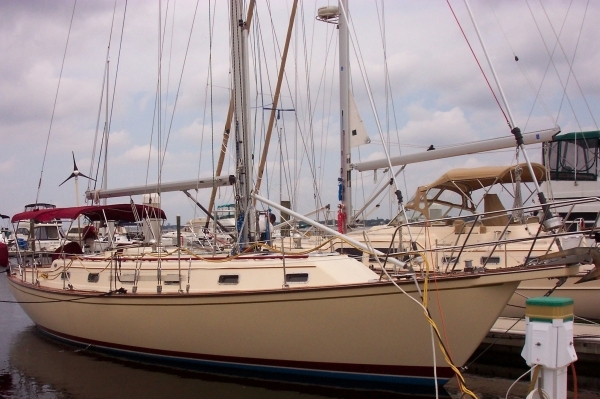 Dragonfly is a 1993 44' Island Packet. She weighs 27,500 lbs including about 9000 lbs of ballast in her 5'7" deep full length keel. At over 13' wide, she is both roomy and comfortable. 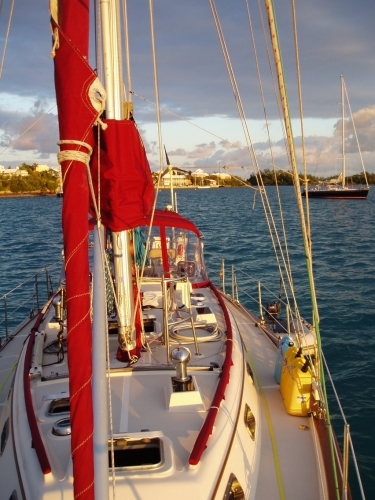 She has a 62 hp diesel engine, a water maker, generator and is fully equipped for passage making, including a 6 person life raft, and all the other necessary safety gear. Forward of the nav station is the main saloon. 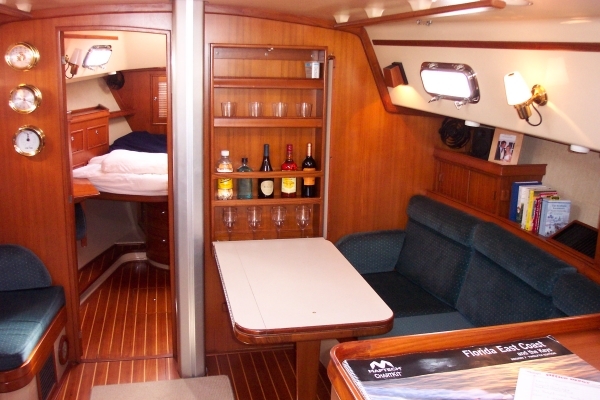 There are two seats separated by a cocktail table that can be moved down and another cushion added to make a single berth. On the starboard side is a long settee that can slide out from the wall to make a very comfortable double birth. 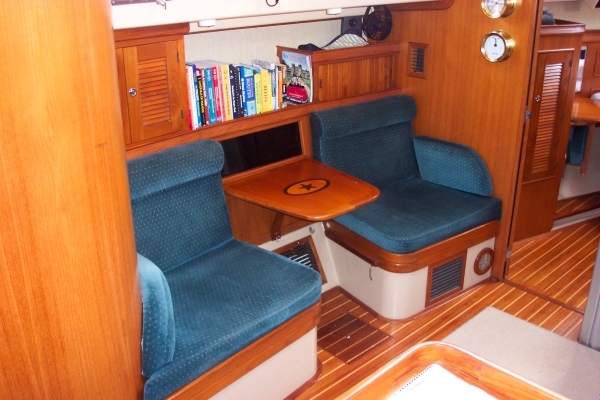 The table folds into the wall to allow a lot of open space in center of the boat. Note behind the table is a bar with room for not one but four bottles of your favorite rum along with some glasses. 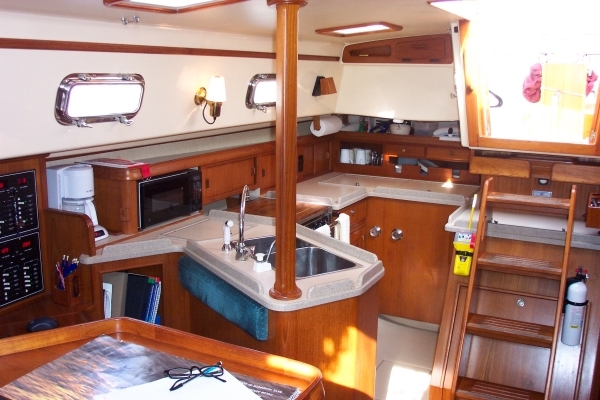 Forward of the galley, is a large work area / desk / navigation station. 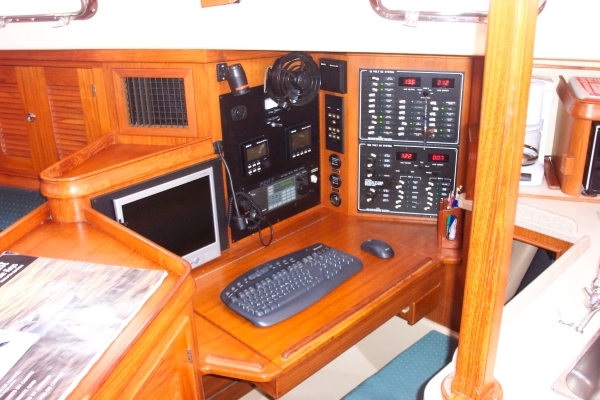 All of the boats systems are accessed here and includes a built in computer screen with wireless keyboard and mouse. We will be doing chart plotting and weather downloads on the computer via wireless internet and through the Single Sideband Radio. Here is what she looks like "On The Hard" getting a fresh bottom. There are three separate air conditioners, one for each of the cabins, all powered from the diesel generator or by shore power. I would not expect to use them much, but awfully nice if it gets really hot. There are two staterooms both with a queen size berth. This is the forward or master stateroom. Each stateroom has its own head with full shower. The word stateroom may be a bit of an exaggeration, but that is what the brochures call them. 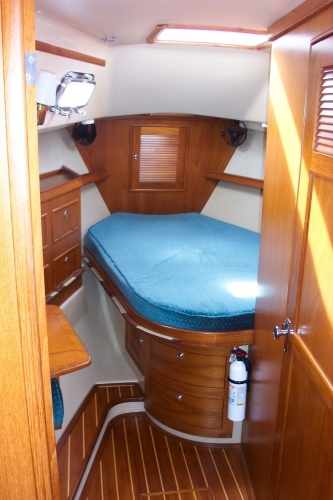 The forward berth is pretty nice, but in the aft berth, though the actual bed is quite large, the ceiling is a little low and the berth requires a little finesse to get into. It does have good circulation thanks to three opening ports. Flat out, she will go about 9 kts. or about 10 mph. I don't expect to see that kind of high speed too often, at least not at first, until we learn how to get the most out of our sails. 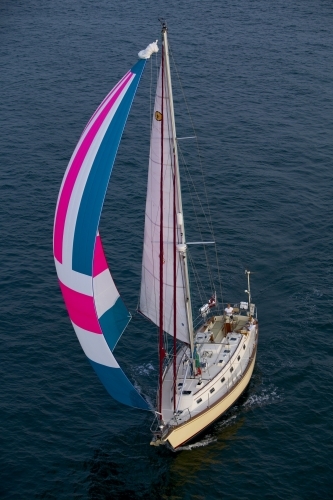 She is a "cutter rig" which means there are two sails up front plus the main. 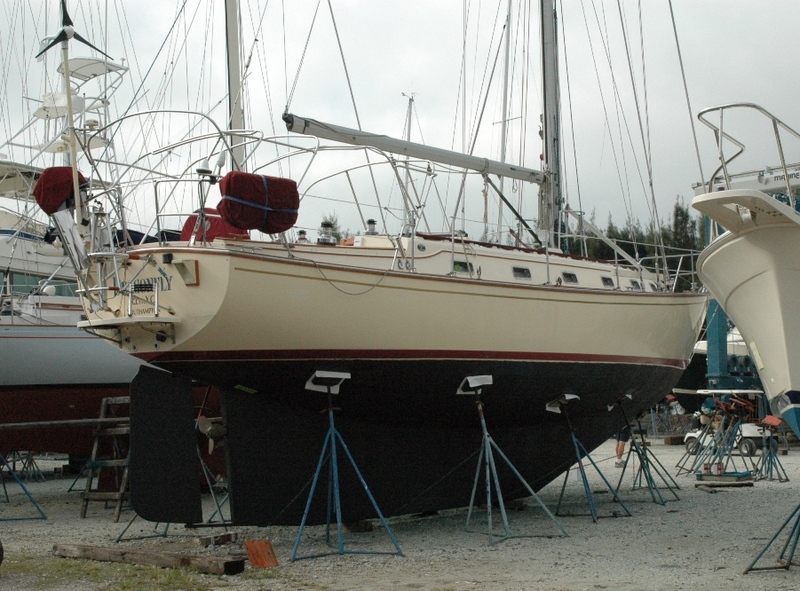 The headsails are both on roller furlers for easier handling.